New Delhi, May 27 (IANS) Hollywood filmmaker Jon Favreau's re-imagined world of “The Jungle Book” with Indian-American actor Neel Sethi playing the role of Mowgli has resonated well with the Indian audiences. In the 50 days since its release in India on Friday, the film has inched closer to the Rs.200-crore club. Disney's “The Jungle Book”, which brings an enchanting story of a boy straight from an Indian jungle, has minted over Rs.180 crore till now. According to a statement from Disney, “The Jungle Book” amassed Rs.2.56 crore in its seventh week, taking the cumulative total to Rs.183.94 crore (nett box office collection). The numbers are "truly encouraging", says Amrita Pandey, vice president - studios, Disney India. 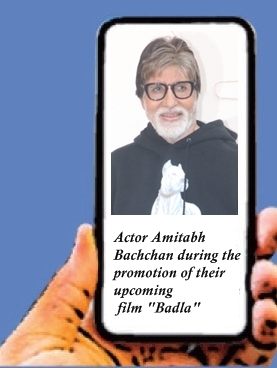 “This phenomenon reminds one of the golden era, back in the 1970s and 1980s, when Hindi movies had silver (25 week) and golden (50 week) jubilees at the box office. 'The Jungle Book' has truly created new benchmarks for the performance of English movies in India,” Pandey told IANS. She added: “It has surpassed age, regions and even languages in a place as diverse as India and has been dearly loved and appreciated all across the country. Trade expert Taran Adarsh is also impressed with the business. "Iron Man" fame director Favreau took a basic structure of Rudyard Kipling's timeless classic and charged it up with the power of the 1967 animation film to bring forth an advanced version of the story backed with technology. Released in India in four languages -- English, Hindi, Tamil and Telugu -- the film made its way onto the screens in India on April 8 -- a week before its release in the US. Along with Neel, the Hollywood film is supported by Bill Murray, Ben Kingsley, Idris Elba, Lupita Nyong'o, Scarlett Johansson and Christopher Walken. Bollywood stars Irrfan Khan, Priyanka Chopra, Nana Patekar, Shefali Shah and Om Puri have lent their voices for the Hindi version of “The Jungle Book”. In fact, Disney studio has also confirmed a sequel of "The Jungle Book”.